The best second-screen experience: To start things off, we checked into the game on GetGlue, Miso,IntoNow, Shazam, ConnecTV, Umami, Foursquare and Viggle. Ok, that’s overkill, but we wanted to give them a spin on the biggest social TV event of the year. For starters, GetGlue sailed passed its all-time check-in, counting over 100,000 before halftime and 150,000 total for the game, 3X its all-time record (the company doubled its servers for the Super Bowl.) We’re let you know of other second-screen stats when we get them. 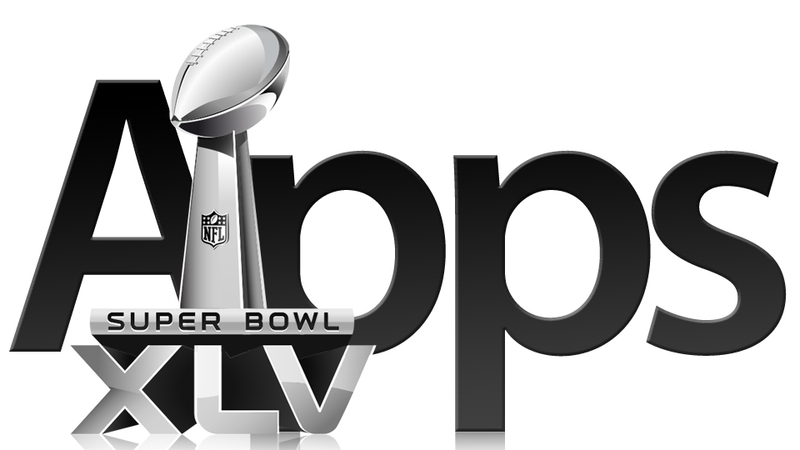 Now that doesn’t include the “official” Super Bowl app, NBC Sports, or a few other options. But overall, I’m see a glass is half empty scenario myself. The problem was in the experiences. I tweeted a couple of times during the game, by using the Twitter app, which was native and easy to do. The thought of launching another app, just to get something that would enable be to tweet never even crossed my mind. In reality, most of these apps actually got in the way of the experience. And yes, while there was tons of tweeting and updates occurring, I’d lay down a strong bet most of this was about people posting, not reading what others were posting. I also found the Super Bowl ads highlighted two major flaws in the ad experience. Shazam got a lot of pre-game buzz for all their ad partners. Sounds cool in theory, but the experience is just plain lousy. First, the commerical starts airing. Then, at some point in the middle of the ad a little Shazam logo appears somewhere on the screen (I only noticed it a handful of times personally). At this moment, the viewer must grab their phone, turn it on, unlock it, switch to the Shazam app, and then – and this is important – get everyone in the room to be quiet for 7-10 seconds. Great in theory, but this is not a good experience for any user. The second was a QR code which displayed on screen. This in my eyes was even worse than Shazam, since QR codes require the user to have a QR app, which is just too obtuse for the average viewer. Compare either the Shazam or QR experience to having a simple URL onscreen. Is it really easier to go through all the hassle and end up on the Honda website, or just tell the user to go to honda.com? Plus, by obfuscating the simple methods, advertisers lose brand reinforcement AND are busy handing over the experience to a third party. Similarly, when it comes to social experiences, is it to a consumers’ advantage to launch an app just to get an update into Twitter or Facebook, or to just use the native ones? These experiences have come a long way, and are offering exciting potential for the future of TV and second screens. But so far, we’re clearly at the infancy of what the consumer can use to really “enhance” a TV offering. I hope some or many of these offerings will improve over the years, and really create a better experience, not one that makes us work harder just to watch TV.